a 70s modernist. | owl's house london. A big linear space, not high ceilinged but light and white and bright, with large windows on three sides. 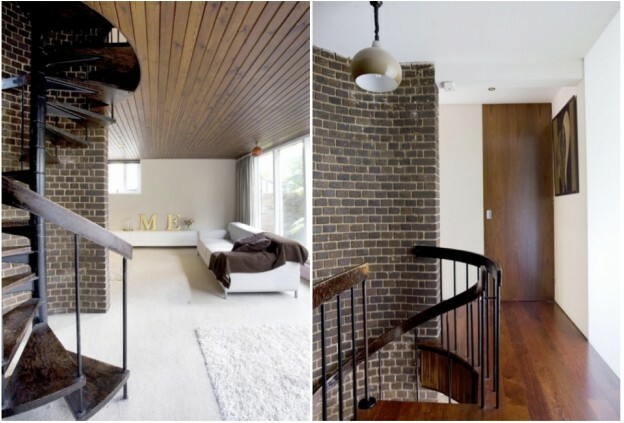 A curved, raw brick half-circle creates a dynamic division within the living space, and provides a back-drop for the beautiful metal spiral stair that meanders up to the next level. 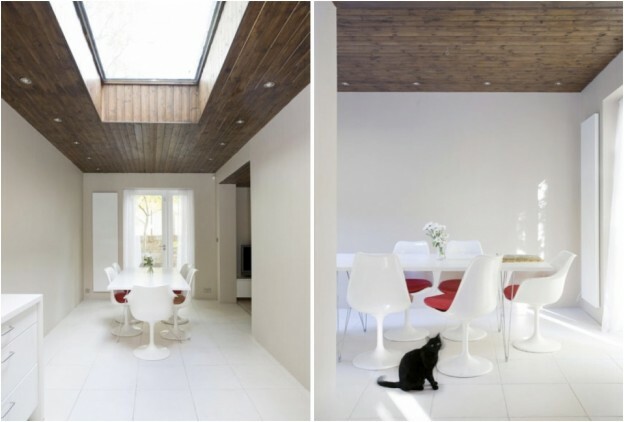 The otherwise white box is given texture and mood with a dark timber-lined ceiling, adding interest and warmth. 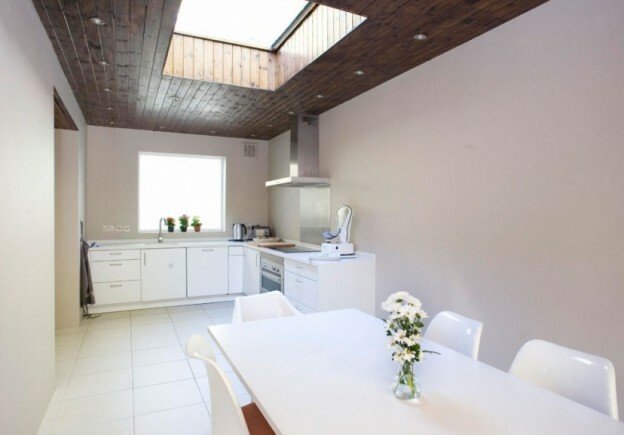 The ceiling opens to form a roof light allowing light to flood in over the kitchen. 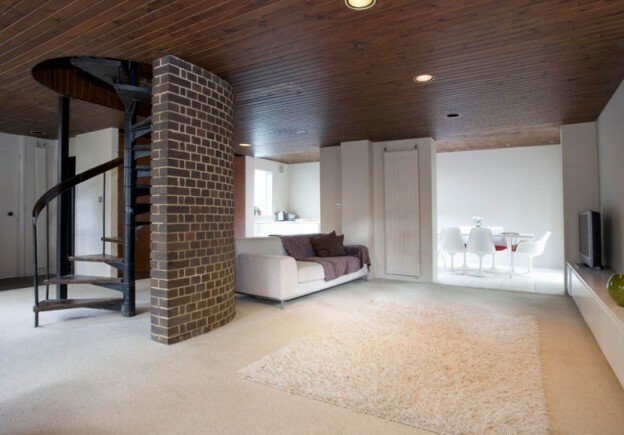 This three-bedroom house was built in the 1970s; the best bits were kept, refurbished and an extension added. 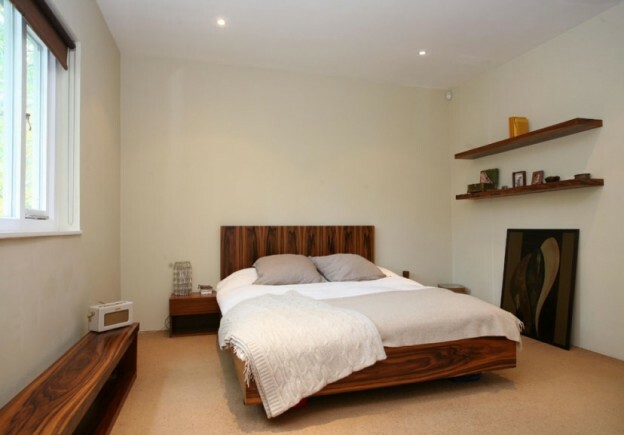 In a vibrant part of London, close to the lovely green spaces of Highbury Fields, and it’s for sale… I could, could you? This entry was posted in wonderful spaces. and tagged 70s modernist, architecture, Highbury Fields, Modernist on February 28, 2013 by owls house london.. 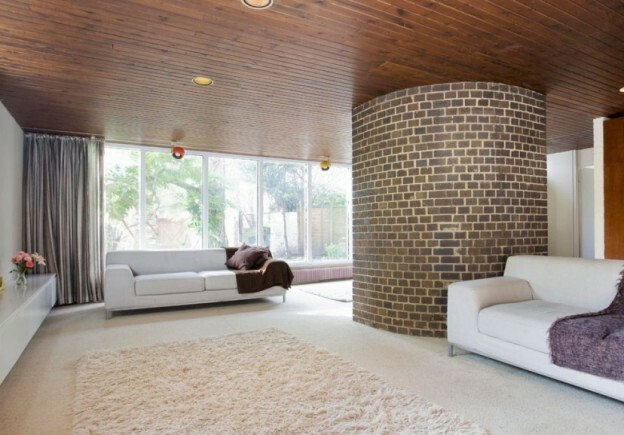 I love this half-circle brick wall – wonderful design solution! It brings some coziness to the space. Wonderful article, thank you for sharing! thank you for commenting – i think it’s a lovely and unusual solution too. I have to say, the spiral stair case and that gorgeous ceiling are the two elements I am loving! Wonderful design overall, really fun room! yes, it’s these elements that appeal – the warmth and texture of the brick in a crisp, white environment.. wonderful to have your danish perspective, Marianne. Pingback: a modernist in berlin. | owl's house london.